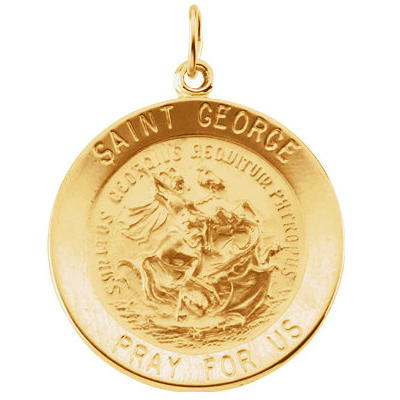 This round St. George medal is made of polished 14kt yellow gold. Medal size: 15mm. Inscription reads: SAINT GEORGE PRAY FOR US. This item is smaller than a dime. Weighs 1.32 grams. Made in the USA.